that bolsters the local flora, produces and markets its own products. On a 5.6-acre slope, in the village of Kamari in Paros, a small village of 70 inhabitants, with a farming tradition and limited tourist activity, we have created, step by step, starting from nothing, a polyculture that includes 280 olive trees, 120 pomegranates, 150 fig trees, a few almonds, several carob and acacias, a small vineyard as well as a range of cultivated aromatics (oregano, marjoram, dittany, savory, rosemary, sage, mint, peppermint, marjoram, sage, mint, peppermint, lemon balm, Parian thyme and Parian samphire). Our farm is certified organic by DIO and has been monitored systematically over the past three years. 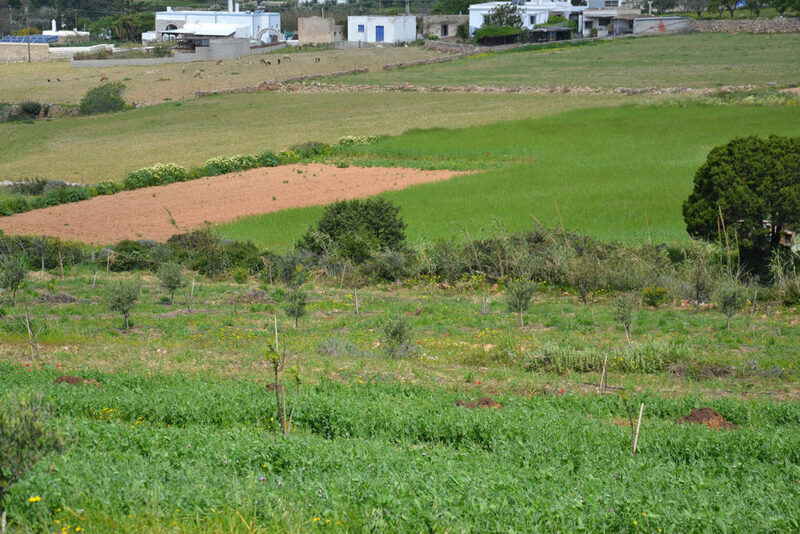 In many parts of the farm we have preserved the pre-existing zones of native vegetation and we systematically try to maintain and develop the diversity of flora and fauna, to encourage the colonisation by beneficial insects, birds and reptiles and to preserve intact islets of earth with the native microfauna. We host the hives of local beekeepers with the mutual benefits of improved quality of their product as well as the beneficial effects of the insects on our farm. We are collaborating with the Biology department of the University of Thessaloniki nearing completion of the documentation and assessment of the native plant species of the farm, with the aim of creating themed gardens to exhibit them in order to inform and sensitise visitors. We have installed a small 150-square-meter non-heated greenhouse, where we produce organic plants, for our own use but also for sale. 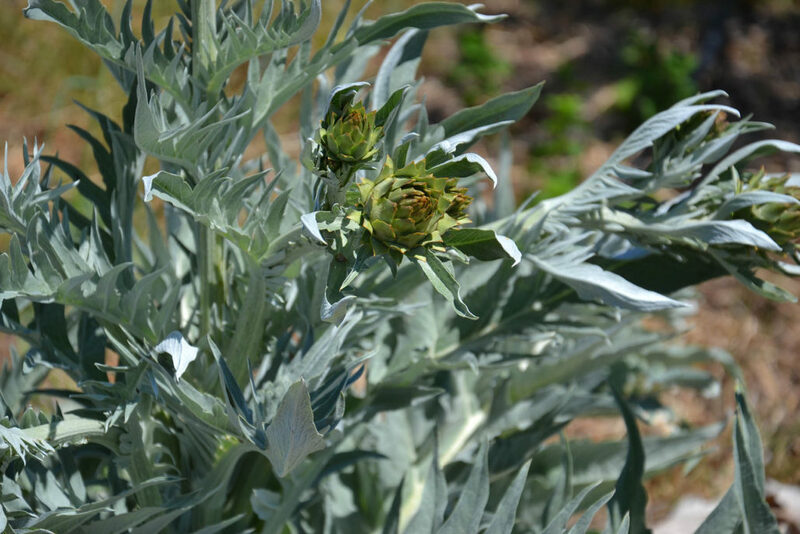 We emphasize the cultivation of aromatic plants and plants that are appropriate for the conditions of the Cyclades, and we encourage locals and visitors to choose to plant them over other plants which are more water consuming. 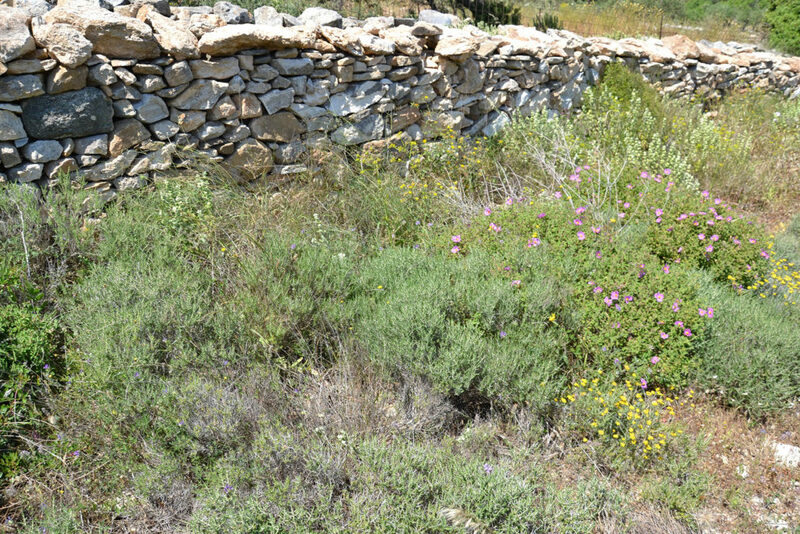 We are restoring the farm’s dry-stacked stone walls with the help of local craftsmen, with the additional aim of preserving and showcasing this ancient technique, which is friendly towards the environment and proven to be efficient in preventing soil erosion. Our farm can be visited every Wednesday 5 pm – 8 pm & Saturday 10 am – 1 mp, or by appointment. Our visitors can tour or be shown around the farm, be informed and meet us. They can also see for themselves the health of the ecosystem we are developing, the quality of our products, and, why not, follow our practices on their own domestic or commercial scale.